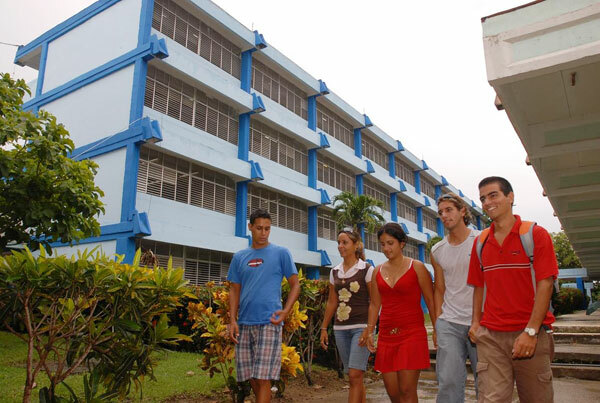 Somos+, Rolby Milian, DATE — So I begin this second part of my comments remembering the announcement, this past September 6, 7 and 8, through the media of propaganda and creation of the Roundtable excitement, of new “innovative measures” in higher education. The measures were announced and explained by the Minister himself, Rodolfo Alarcón Ortiz and a government team. It’s worth pointing out, that among other ideas presented by these gentlemen, is the legal reestablishment for the continuing training of professionals, the creation of a new educational level (“non-university higher education”), the requirement of English in order to graduate and the gradual reduction of the length of degree courses to four years. What I particularly think is that these measures are a propganda spectacle about a project that is still in a beginning phase. A typical strategy of the Government to alleviate pressure, deflect attention and pretend that it’s doing something before a crisis of great proportions, like higher education in Cuba (for example, the touted Law of State Businesses, that supposedly will come out in 2017). From the foregoing I can deduce that right now the Government has no truly solid, concise and intelligent plan to begin solving the multiple problems of higher education in our country. On the other hand, none of these “measures” match up with the supposed present politics of the Government with respect to the creation of businesses and the increase in private initiatives, in the sense of not mentioning adjustments in the matters of marketing and business management in the related courses of study nor the creation of new disciplines for the training of professionals specializing in this sector (business administration, for example). With all this it’s not difficult to ask: Are our youth really prepared for a future of economic opening and the creation and development of businesses, with all the logistic and structural support that implies? My present opinion is no. Youth in Cuba are not ready to efficiently confront an economic opening to the world. Nor does the Government intend to facilitate improvement in the educational system in this sense; in fact, it seems to not even be contemplating this scenario (nor one in which citizens freely participate in any constructive project for the country). We believe that a packet of emergency measures for the recovery and restructuring of our higher education should be passed, first for the realistic identification of absolutely all the problems, including opinions and proposals from our students. In addition, there should be no restrictions on absolute freedom of teaching and learning in every one of the institutions and for students, presenting real opportunities for all citizens to have access to higher studies, through an efficient system of vocational training, admission and retention.